Preparation H (the hemorrhoid ointment) was prepared with a live yeast cell derivative ( LYCD) called Bio-Dyne at one time in the U.S. It still is in Canada. It helps promote wound healing, thicken skin and reduces wrinkle volume. Today the U.S. version is made with phenylephrine, which is a vasoconstrictor and only temporarily tightens skin. 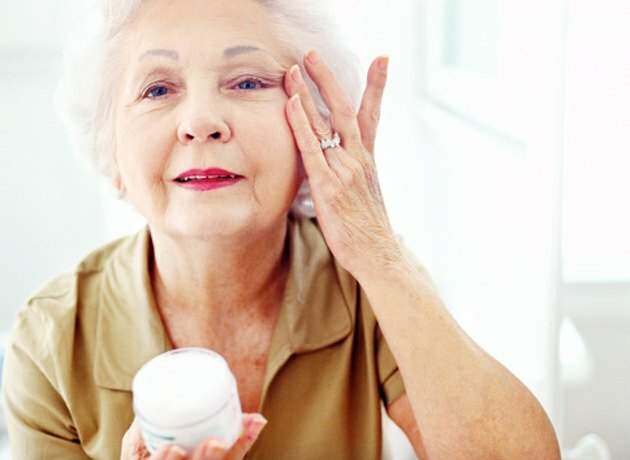 What effect the ointment has on wrinkles depends on which preparation you use. Obtain some Preparation H made in Canada. The U.S.-made ointment may temporarily give a shrinking, less wrinkled look but doesn’t give long-term relief and is irritating to the eyes and mouth areas on many people. Rub a small amount on wrinkles in an inconspicuous area before applying it to your face to make sure no reaction or irritation occurs. Be patient in waiting for results. Bio-Dyne includes peptides which take time to absorb into the skin. In one day you may not see results, but if it will help, some result should be seen in a week to 10 days. Leave the cream on after it is applied so it can work. Immediately washing it off will dull its effect. Apply the cream on areas you wish to prevent wrinkles as well as those wrinkles you wish to heal. Bio-Dyne helps with collagen production, so it will benefit your whole face. Experiment with the use for your particular type of skin. Can You Use Preparation H for Dark Under-Eye Circles?